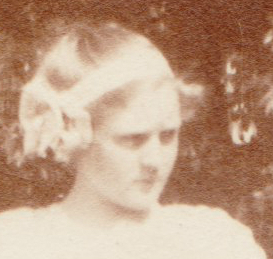 This undated snapshot measures 2¼ inches by 3¼ inches. 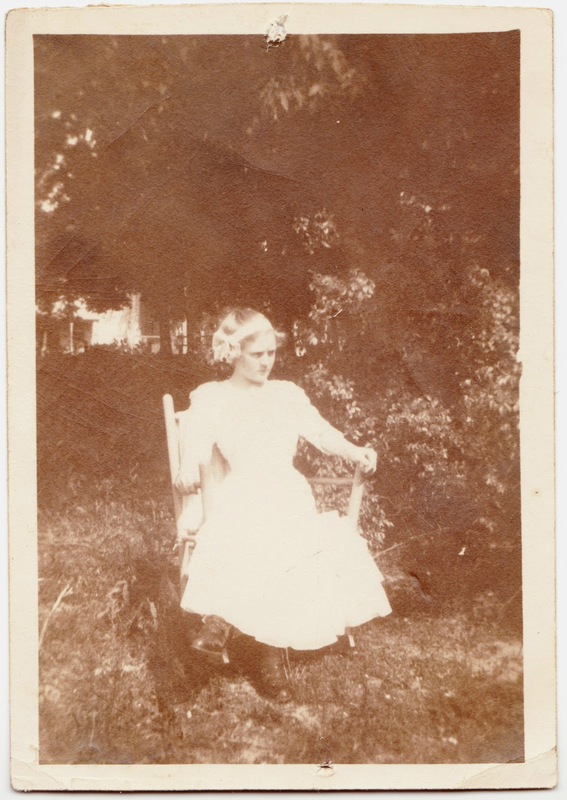 It features a teenage girl or young woman wearing a white dress and sitting in a chair in the middle of a yard. All of the vegetation looks robust, so I'd guess that it's summertime. There's a name written on the back, but I can't quite make out what it says. What do y'all think? My best guess would be something along the lines of "Elizabethy."